Every time Chasten Whitfield fishes Florida waters in her custom-built boat, she attracts attention. The boat is wrapped with bold pink letters that spell out the name of her brand, “Chastenation,” and the 18-year-old is well-known for her tournament winnings and avid angler life. However, what makes Chasten stand out amongst her competition is not her fishing talent alone; it is what she does with her winnings. 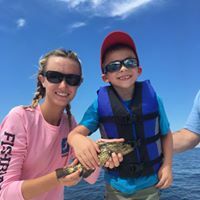 Chasten entered her first fishing tournament as a 12-year-old, after being teased by other kids about her love of fishing because she is female and after some encouragement from her mother. It was surprising that she won 1st place in the tourney, but Chasten shocked everybody when she handed back the check worth hundreds of dollars. This wasn’t her first philanthropic endeavor. As a younger child, Chasten raised money for St. Jude’s Children’s Research Hospital by having yard sales and selling oranges she hand-picked. 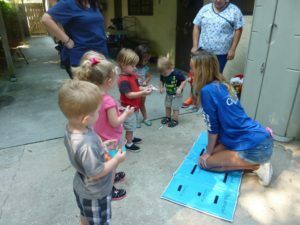 Her history of giving began at a young age, and in fishing she found a way to continue giving while doing what she loves. 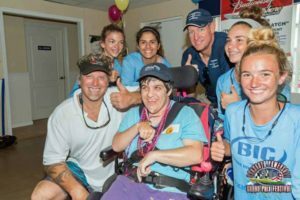 Since that first tournament, Chasten has continued to charitably give back her winnings, but she also teaches children how to fish and takes disadvantaged children out on her boat, which is customized to accommodate wheel chairs. catch a Snapper on her boat. Chasten wants to create a television show based on her fishing experiences with disadvantaged children. 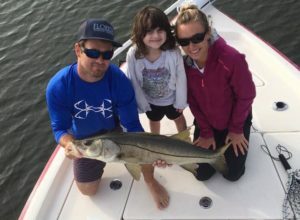 She says she’s a big fan of the saying, “Tackle boxes, not Xboxes,” and she encourages people to take others outside fishing, even if they’ve never been. “Take your kids fishing too,” she said. Because she was able to graduate early, Chasten is now fishing every day. She is also getting ready to attend Savannah College of Art and Design where she is sure to be an asset on their women’s fishing team. “I’m quickly moving my way into bass fishing,” she said. She credits many people with her early accomplishments including her mother, a woman who used to fish the same canals where Chasten lives now. Fishing is surprisingly not in the message that Chasten aims to deliver. Rather, she promotes the freedom to be whoever you are.